The LC-XG250 features high brightness and contrast, with a range of optional lenses, 0.8–11.3:1. It even has a simple push-button lens replacement, no dismantling required. The rear access lamphouse makes lamp change easy too. The LC-XG250 also features a one-way cooling system (1 in & 1 out port) that simplifies installation, and the front accessed high-capacity air filter simplifies maintenance. Both an LED and on-screen warning inform you when a clogged air filter is detected. 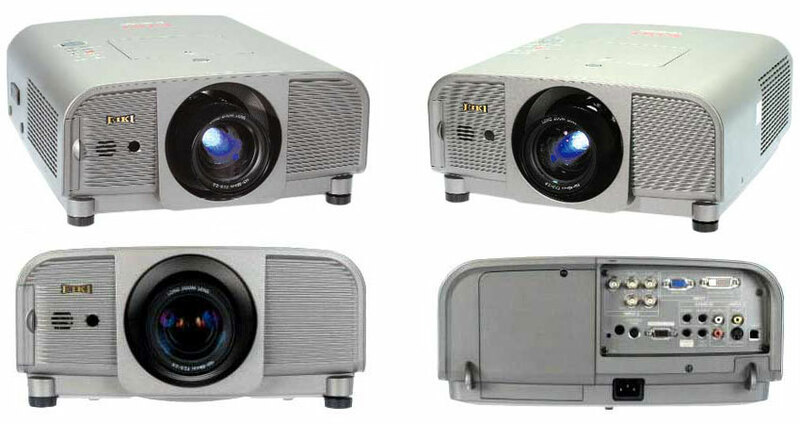 This projector has many useful functions such as lens shifting, ceiling and rear projection, 360-degree projection, variety of lens options, etc. 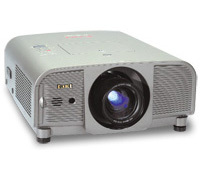 The security function helps you to ensure security of the projector. With the key lock function, you can lock the operation on the top control or remote control. PIN code lock functions prevents unautorized use of the projector. 4000 ANSI Lumens, at 90% uniformity, and a 1000:1 contrast ratio. XGA resolution. Smart data compression/expansion, and video scaling. Optional WideAngle and Telephoto Lenses. Instant Change Lens System. Converts interlace to progressive scan. 2-3 pulldown support. Anti Keystone Power Lens Shift, Up Only 50%, ±15% left or right. Cabinet Size (HxWxD) 6.46" x 13.7" x 17.5"